Picture the “Chairman of the Board” with some of his friends celebrating a heartwarming Christmas through a dozen tracks of memorable holiday music on the wonderful CD, “Christmas With Sinatra And Friends.” The result is this fine release from Concord Records. The songs in this collection were recorded many moons ago and taken from various albums, but they surely sound fresh and unsullied as if they were just recorded recently. The sound quality is superb. Thank goodness for the wonders of modern recording/remastering technology! The Sinatra cuts are primarily Christmas songs from his post-Capitol career and there are a few nice surprises that aren't featuerd on any of his original Christmas albums: from Frank's 1957 holiday TV show, we get renditions of “Santa Claus Is Coming To Town” as well as “Mistletoe And Holly,” sung while Mr. S’s voice was in its Capitol-era prime. 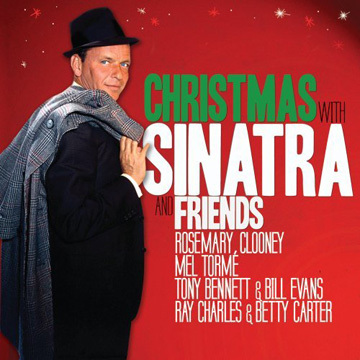 The producers of this album did a nice job of picking some stylistically consistent tracks by Sinatra's peers to spice up what might have been just another reissue of Frank's Christmas music. (Good as it is, most of it is out there already). So throw another log on the fire and turn up the stereo and listen to a delightful collection of holiday favorites.